I have one client this week asked for a chocolate dessert kiosk this week,he told me he mainly sell handmade chocolate,chocolate ice cream,chocolate dessert and munchies.But what he worry about is that in his mall already have 2 chocolate kiosks,he want do a creative chocolate kiosk,which should be very amazing design,so that he can fight with those two kiosks. 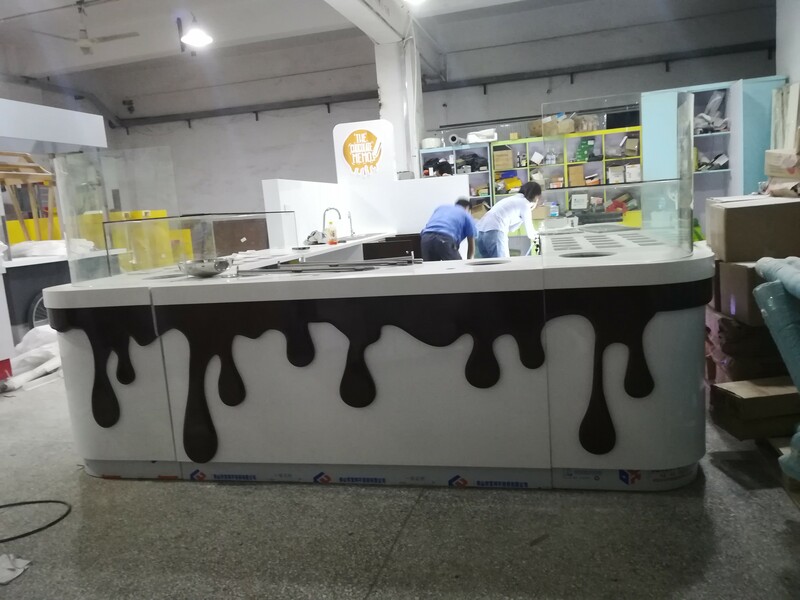 I shared him some chocolate dessert kiosks we made before,but there is no one he like,he always said so simple and normal.This makes me a little disappointed.He want soemthing very characterstic,when people see it will can’t help stop here and say wow. 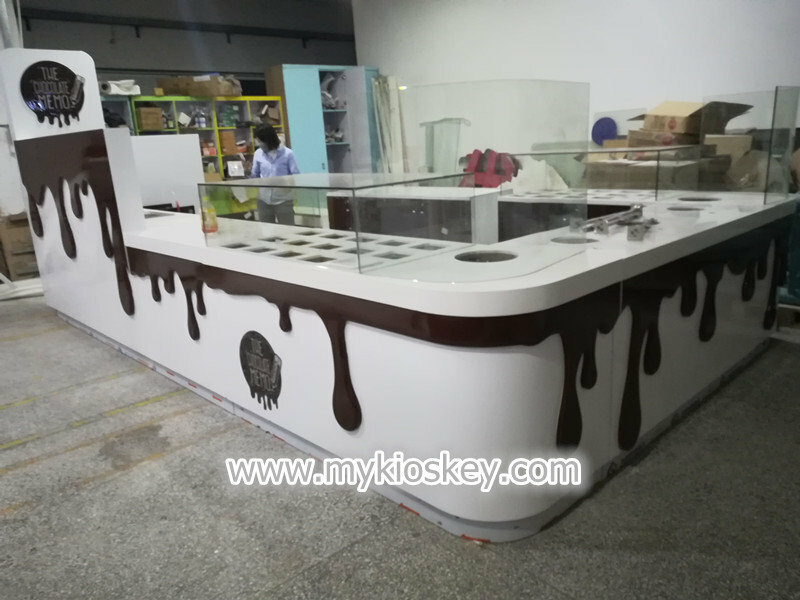 I just remembered we did two very fantastic mall chocolate dessert kiosk for a Australia client before.so I share him. 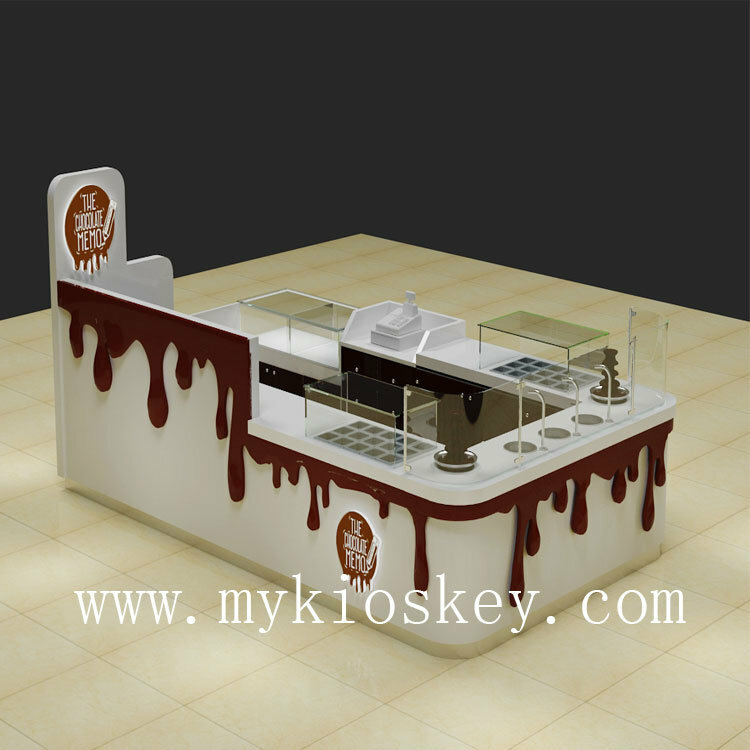 i believe every one see this mall chocolate dessert kiosk will attracted by it,my client also,he likes it a lot,especially the melt chocolate decorations arround the kiosk,Yeah,when you see the melt chocolate,it is so tempting,looks so delicious,you will can’t help to buy real chocolate products to have a try.Enjoy the yummy chocolate really the most happy thing.This idea is comes from that client,he want something special,want we try melt chocolate around the kiosk.so we designed as this idea and found it is so nice. 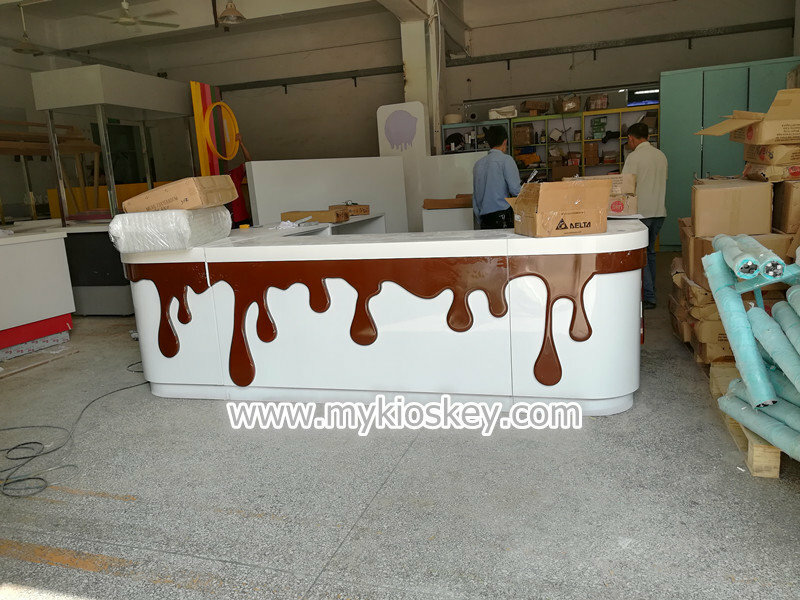 it is 5m by 3m,totally white color,white corian countertop match chocolate color,looks very nice. 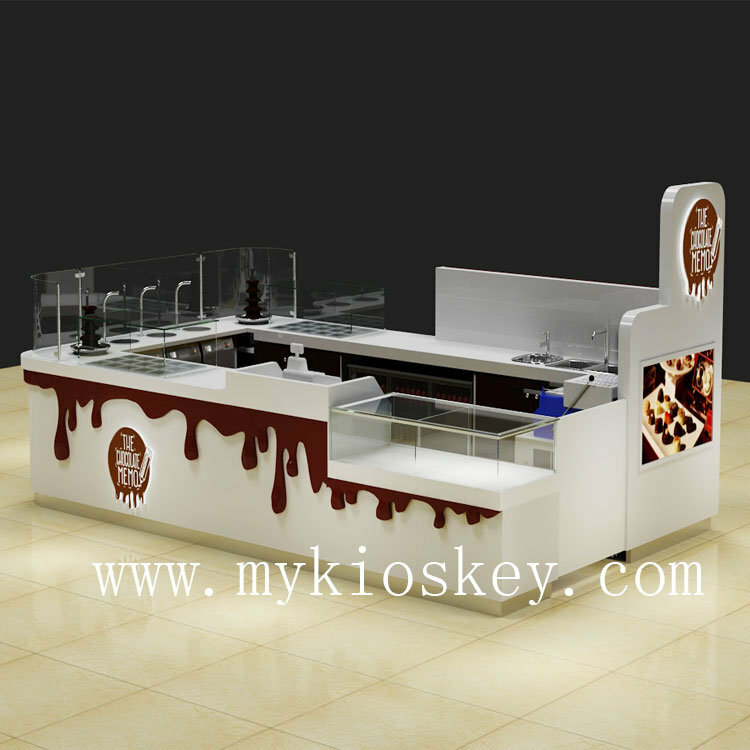 if you want do a mall chocolate dessert kiosk,this design can give you some creative elements. you see our real works,it looks very high-end and special. Frist step:you need think about you will sell what food exactly,you want what color,which style.you can tell us your needs. 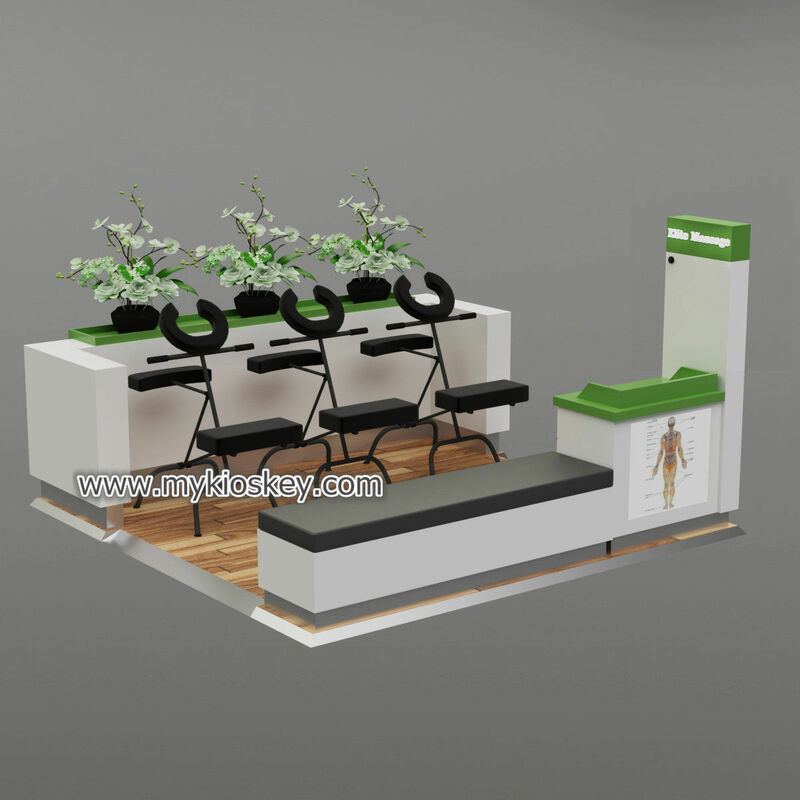 Third step:we will ask our design team to do 3d Design for your kiosk,add your ideas in for you see effect. Fourth:you can check the design and make comments if you feel any places not so good. Then once we comfirmed design we will do detail drawing to start build it! 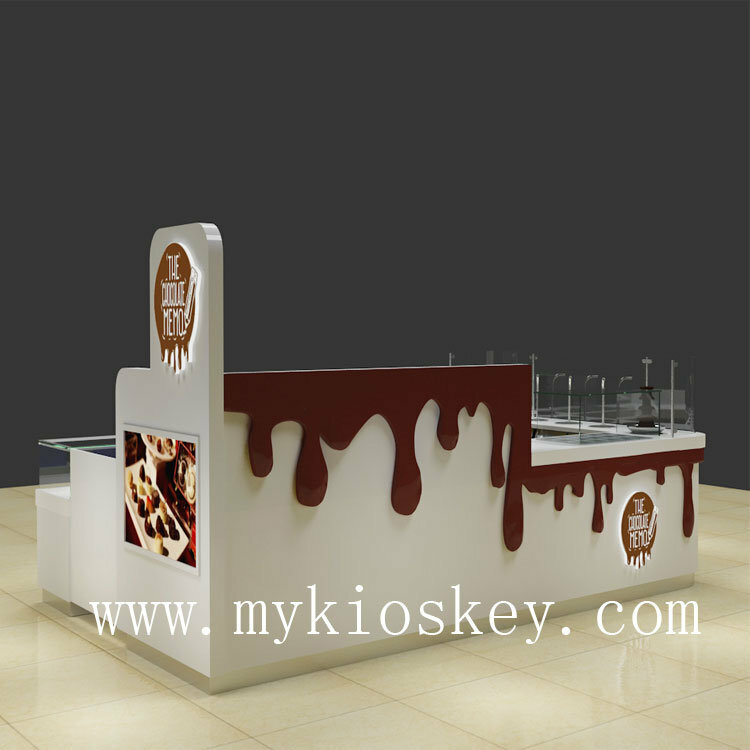 If you have desire to do a mall chocolate dessert kiosk,just feel free contact us.